In May 2008 a group of 35 management scholars and practitioners – including such gurus as Chris Argyris, Henry Mintzberg, Peter Senge, Gary Hamel and Kevin Kelly – spent two days at Half Moon Bay, California, where they created an ambitious agenda for management innovation. The results of their discussions are published in "Moon Shots for Management", an article written by Gary Hamel that appears in the February 09 issue of Harvard Business Review. The article, while short of the "how-tos", is generating a lot of buzz and is worth taking a look at at. Management is undoubtedly one of humankind’s most important inventions. For more than a hundred years, advances in management—the structures, processes, and techniques used to compound human effort—have helped to power economic progress. Problem is, most of the fundamental breakthroughs in management occurred decades ago. Work flow design, annual budgeting, return-on-investment analysis, project management, divisionalization, brand management—these and a host of other indispensable tools have been around since the early 1900s. In fact, the foundations of “modern” management were laid by people like Daniel McCallum, Frederick Taylor, and Henry Ford, all of whom were born before the end of the American Civil War in 1865. The evolution of management has traced a classic S-curve. After a fast start in the early twentieth century, the pace of innovation gradually decelerated and in recent years has slowed to a crawl. Management, like the combustion engine, is a mature technology that must now be reinvented for a new age. With this in mind, a group of scholars and business leaders assembled in May 2008 to lay out a road map for reinventing management. The group’s immediate goal was to create a roster of make-or-break challenges—management moon shots—that would focus the energies of management innovators everywhere. The participants were inspired in part by the U.S. National Academy of Engineering, which recently proposed 14 grand engineering challenges—such as reverse engineering the human brain, advancing health informatics, and developing methods for carbon sequestration—for the twenty-first century (to see the full list, go to engineeringchallenges.org). Why, we wondered, shouldn’t managers and management scholars commit to equally ambitious goals? 1. Ensure that management’s work serves a higher purpose. 2. Fully embed the ideas of community and citizenship in management systems. 3. Reconstruct management’s philosophical foundations. 4. Eliminate the pathologies of formal hierarchy. 5. Reduce fear and increase trust. 6. Reinvent the means of control. 7. Redefine the work of leadership. 8. Expand and exploit diversity. 9. Reinvent strategy making as an emergent process. 10. De-structure and disaggregate the organization. 11. Dramatically reduce the pull of the past. 12. Share the work of setting direction. 13. Develop holistic performance measures. 14. Stretch executives’ timeframes and perspectives. 15. Create a democracy of information. 16. Empower renegades and disarm reactionaries. 17. Expand the scope of employee autonomy. 18. Create internal markets for ideas, talent, and resources. 21. Further unleash human imagination. 22. Enable communities of passion. 23. Retool management for an open world. 24. Humanize the language and practice of business. How important it is that your organization makes progress on each challenge over the next two or three years. The degree of progress your organization has already made in addressing the challenge. Has management as we know it today outlived it's usefulness? 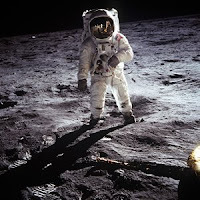 What do you think of the moonshots? The first thing that struck me as I read through the list was - 25 Moon Shots! You would think with that much brainpower in the room someone would have raised their hand and said - "Hey, why not limit the number of big ideas here so we have some chance of someone actually working on one?" I agree management needs to change. But the bigger question is out of the 25 ideas listed, which one or two would contribute the most to moving the concept forward? Yes, it’s an ambitious list. But then again, they don’t have to implement them…. I confess that I have several problems with this. The first is the same as Incentive Intelligence. One reason that the original moonshot worked is that it was a single, easy-to-conceive and measure goal. But I've got more problems. I have a problem with the fact that we are going about solving a new problem in the same old way. The process of taking a bunch of experts and putting them in a room to produce pronouncements strikes me as an inappropriate way to solve the stated problem of "reinventing management." Surely we have the technology to involve more people. Surely, instead of pontificating about how Millennials will change the workplace of the future, we could involve some of them in the discussion of how it might be different. Surely people from Semco and WL Gore could be invited to talk about their very different ways of getting work done. The major mover in all of this is Gary Hamel. He is a bright and prescient individual, but his theory in use seems to be that bright people like him should chart the course for the rest of us. He had a "blog" at the Wall Street Journal where he publishes pronouncements about the transformation of management. But, unlike real blogs such as this one, he doesn't respond to comments. The clear message is that if the comments aren't from experts, they can't be worth much. Here's my bottom line. The world of work in the future will look very different from the world of work today. There are a variety of forces driving the change. And, as William Gibson said of the future in general, the workplace of the future is here, it's just unevenly distributed. We need to identify the examples and make some judgments about what works and what doesn't and try some more stuff. The people who will create the workplace of the future aren't my age or Dr. Hamel's age. They are our children and grandchildren. They need to be part of the discussion and have some say in the trials. Thanks, well said, as always. I read the entire HBR as a part of a leadership program I’m participating in. Our class is going to be discussing during the next few days how we’re going to implement some of the “moon shots”. Should be interesting… I’m at a loss as to which ones and how. None of them seem to help address any of the business problems we’re faced with today. @Incentive Intelligence, maybe the one or two ideas that would contribute most to moving the concept forward is different for every organization, so this is like a smorgasbord to choose from. That said, it does read like old-school manager speak and it is the brainchild of four guys (no women and no younger workers?). This seems counterintuitive in light of such proposed "moon shots" as "Dramatically reduce the pull of the past" and "Create a democracy of information" and even "Expand and exploit diversity." Ah, my fault for overlooking the first sentence that mentioned 35 participants. That certainly does sound like a very diverse group. Thanks for setting me straight. I'm curious whether anyone who read this has developed ways to implement any of these "moonshots" in their own organization and what resulted from that action? Quick note, Dan. I included you in the Rise Smart weekly roundup because there seems to be a lot of talk about assessment and development lately, here and elsewhere. Thanks for the work you do!